Our hydraulic presses are engineered for your specific applications. We offer a wide choice of opetion and frame designs, turnkey systems and rebuilds and upgrades. Each press was designed to fit the exact required specifications. 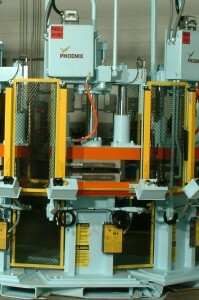 Phoenix Hydraulic can manufacture a hydraulic press to meet your exact specifications or to match your exact needs. Contact us today to learn more about our capabilities.